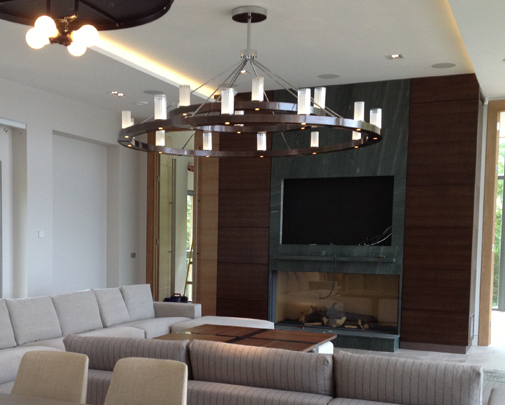 When yacht designers Bannenberg & Rowell were commissioned to apply their superlative seafaring interior design skills to a new build lakeside property in the heart of the English countryside, they called on our services to produce two Corona ring style contemporary chandeliers. These lovely fittings are lit by LED lamps and required integration of the latest technology to optimise control of the lighting. They were hand finished in bronze at our London factory.